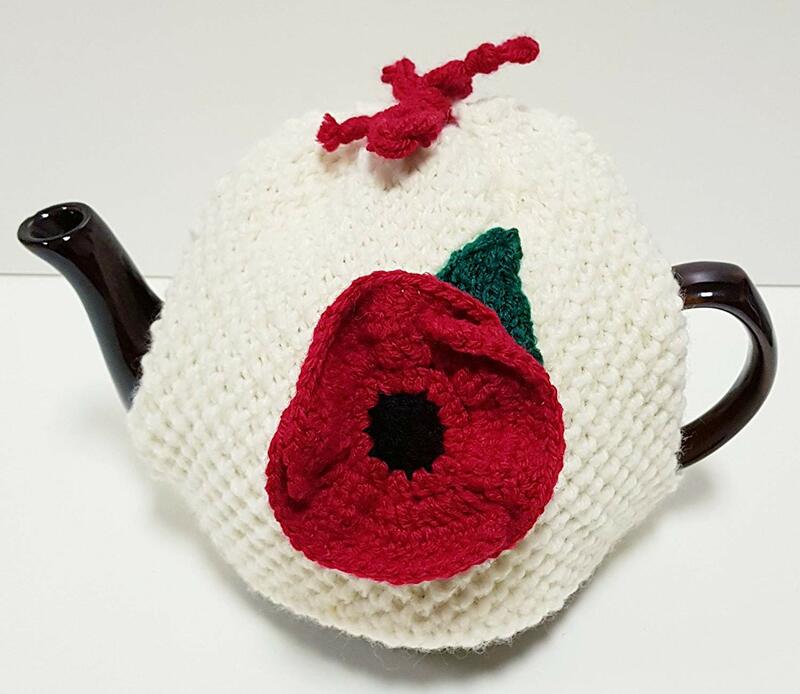 The design of this cosy is in honour of our forces and a donation goes to The Royal British Legion. Made in Aran / Chunky thickness to keep your tea warm for longer than the standard factory knit cozy. Each Cozy is Hand Knit by Grandma's so there is a limited supply.